Salt Lake Community College students from all over the world joined together for an art show. The art show displayed works from the artist’s respective cultures. Multicultural Initiatives displayed artwork from SLCC students who have come from around the world. Although their cultures and backgrounds differed greatly, the commonality of love for art filled the east foyer of SLCC’s South City Campus. Each contestant received votes toward their work. The first place winner will receive a cash prize of $300, with second and third place winners getting $200 and $100 respectively. A continuing student at SLCC from southern Russia, Darina Prokofyeva entered a Russian inspired jewelry piece. She entitled the piece, “A Woman’s Heart.” The piece took Prokofyeva 4 months to make. “It’s called woman’s heart because [a] woman’s heart is mysterious and like a secret…like the swirls inside this heart,” she described. 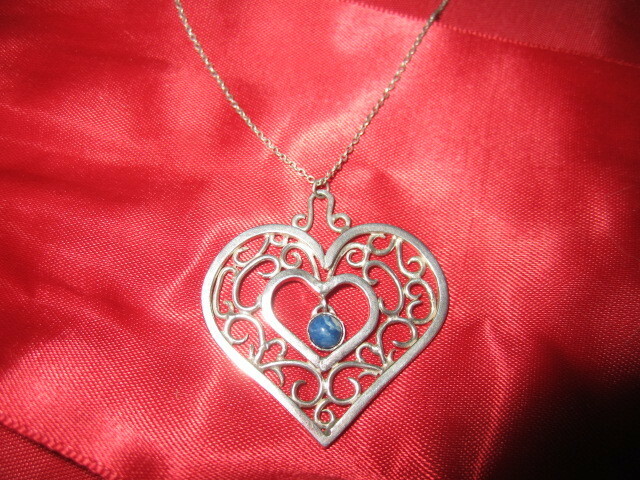 The piece was made from silver with blue lapis stone. Prokofyeva bent the metal herself. Rosalba Dominguez of Hispanic descent displayed two pieces as part of her contribution to the art show. She created a poster and mask in honor of the “Day of the Dead” or “Dia de los Muertos,” in which her family celebrates each year. Leroy Lovato’s specialty was wooden shapes and snowflakes, handcrafted at his home. “I use all types of woods,” he explained. He enjoys trying new types of wood to make three-dimensional shapes. 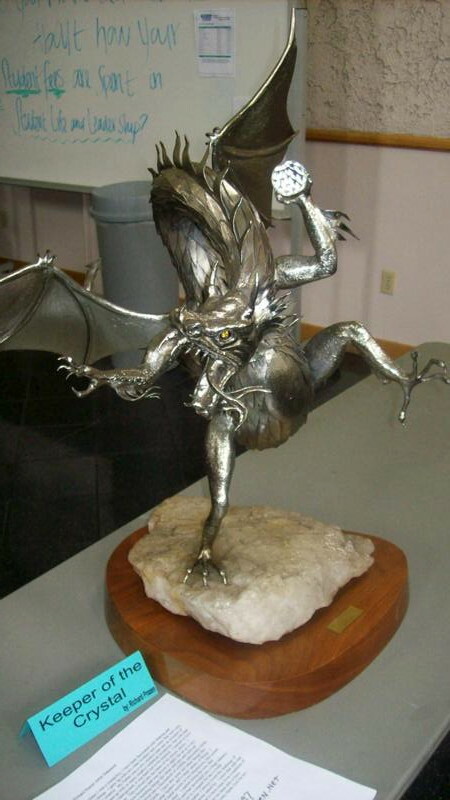 A metallic dragon by Richard Prazen was also on display for students to vote on. Voters were treated to Domino’s Pizza upon placing a vote. The results of the art show winners has yet to be announced.